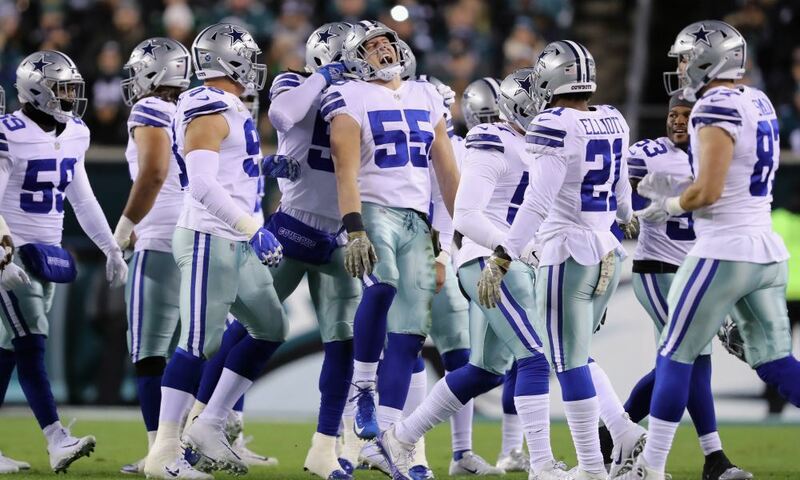 The Cowboys finally played their first preseason game last night. With what we saw from that game, plus two weeks of training camp reports, it's a good time to update the 53-man roster projection for 2018. The last projection came out just before camp started and we've had some developments since then. Thankfully, none of those have involved a major injury. All of our changes will be based on performance. The danger here is getting too hung up on stuff that happened in last night's game. Those limited reps against limited competition don't wipe out everything the coaches have observed in training camp. They do matter, of course. A strong performance can do a lot to help a guy's stock. But it would be foolish to assume that a quiet night negates everything a player might've done so far in Oxnard. So, with that being said, let's get to it. The pecking order is only more firmly established after last night. 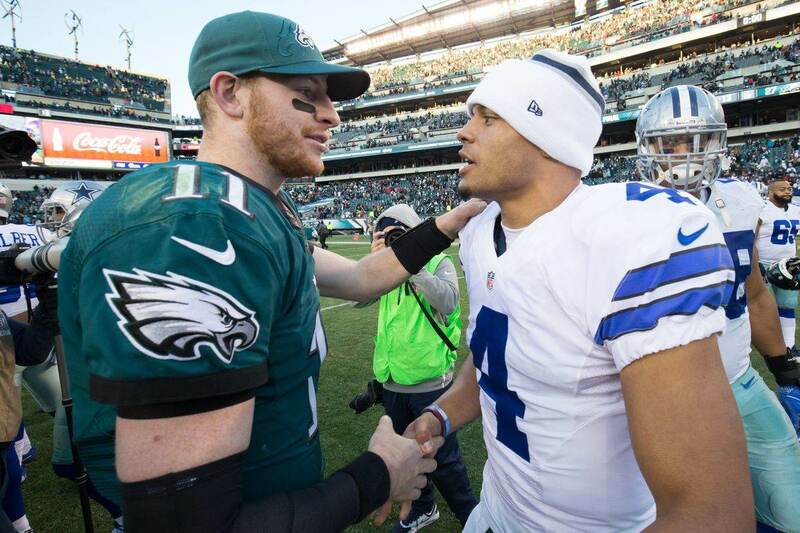 Dak had a perfect showing in his one series, leading a touchdown drive and having zero incompletions. Cooper Rush was next up and looked solid, completing 65% of his passes and having few errors despite some protection issues. Mike White didn't get a chance to show much, playing with the bottom rung of receivers and getting even worse blocking than Rush had. It will be interesting to see if he gets a shot at being QB2 in any of the remaining games. More than likely, though, this trio will remain as is the rest of the season. The only real potential for change was if Rush struggled and allowed the rookie to move up the depth chart, which could put Cooper's roster spot in jeopardy. But last night, plus everything we've heard from Oxnard, indicates that Cooper Rush is entrenched as the backup QB for 2018. 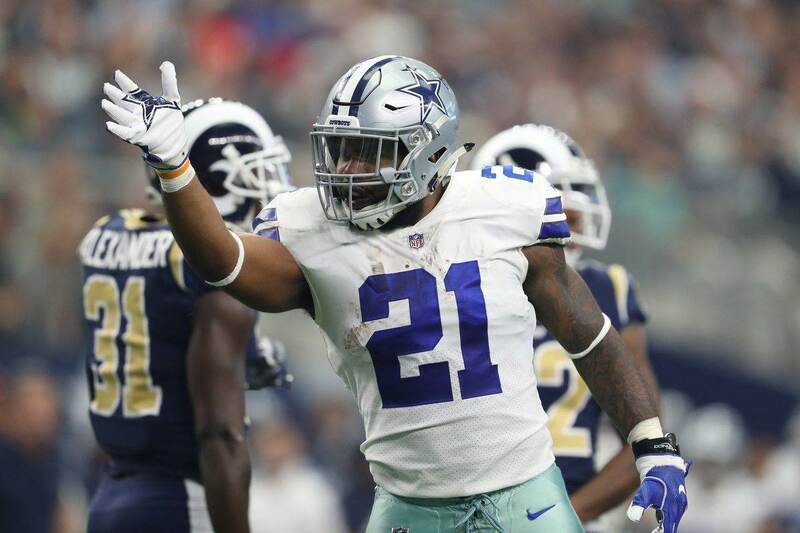 Zeke sat out last night, allowing Rod Smith to run with the starters. He showed the same mix of power and athleticism we saw last year, even thought the stat sheet was nothing eye-catching. Bo Scarbrough got to punch one into the endzone, capping a solid debut. We already knew he wouldn't get to flash much behind backup linemen, needing holes and lanes to show off as a downhill runner. He did get off one 28-yard run when he could find some daylight, plus had two catches for 19 yards. Don't worry, Tavon Austin fans. He's still on the roster, but now being listed at receiver. He may still be a RB on the team's website roster, but the Cowboys' first official depth chart showed him at WR and all his snaps last night came from that position. Darius Jackson got some run last night and flashed a few things, but not enough to knock anybody else off the roster. It may be early and even foolish, but I'm becoming more and more convinced that Terrance Williams won't make the team this year. I alluded to this two weeks ago and last night only gave me more reason to stick to the theory. Michael Gallup will need to keep making plays with the first-team offense to make this happen, but last night was a good sign. Lance Lenoir's good night and strong camp also puts pressure from the other end of the depth chart. I could be way off. Maybe it's veteran Deonte Thompson who loses his spot over Williams. But Terrance Williams doesn't give you special teams value, and now his role as a receiver is being threatened. The Cowboys can eat his contract if they want to, and they're getting more reasons. Noah Brown was a tough cut, but he hasn't made the kind of noise in camp that we'd hoped for. Still plenty of time for him to get back on the radar, though. 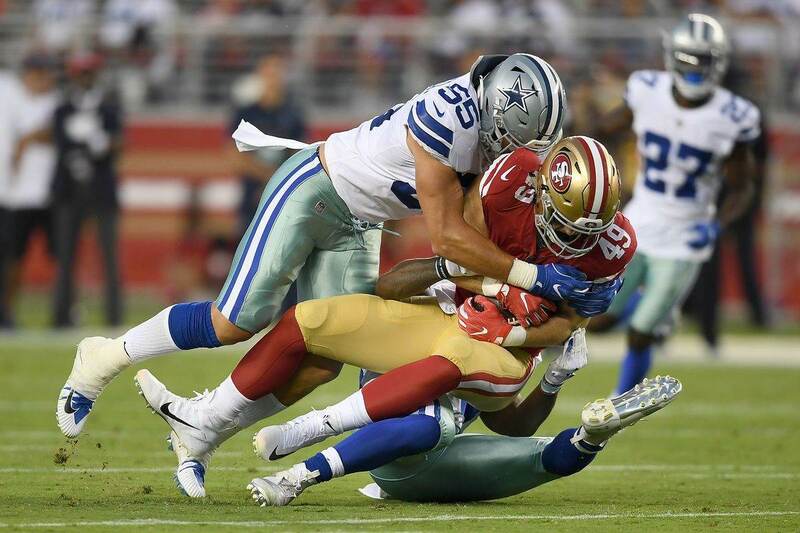 We saw Blake Jarwin playing with the starters last night, and word is that he might even push Geoff Swaim for the starting job. If nothing else, it seems impossible to leave him off the 53 at this point. Rico Gathers is still in this fight, perhaps forcing the team to dump someone at another position. But like Noah Brown, he's another guy who hasn't built on last year's hype yet. I'm giving him the roster spot for now, hoping we get to see more as preseason continues. He still has that great upside as a receiver, and his blocking has reportedly improved. But at this point Rico's still on the bubble. I tried to be a nice guy with my last projection, but Green looked bad last night. Some guys just can't handle the bright lights and Chaz may simply be a dude who folds under game-time pressure, no matter what he shows in practice. Green was more of a versatile G/T option anyway, which was nice for the bottom of the depth chart for not if he still struggles this much. He could still be put on the practice squad, having just one accrued season so far in his career. Dallas will likely just go with their starters and Cam Fleming as the swing tackle. With Chaz gone, that opens up a spot for Joe Looney to be retained. The Cowboys could go with some younger prospect, but until one emerges then Looney is reliable depth at both guard and center. The guy who might push Looney or Marcus Martin out is Kadeem Edwards, who was playing with the second team last night and is a former fifth-round pick. Injuries derailed his early career in Tampa Bay, but Edwards has a chance to get back on track in Dallas. With Crawford being listed as a starting DE on the official depth chart, and having played there last night, I think it's time to make the switch. Tyrone even looked leaner as if he's been working on his body to do more work on the edge. After reports that veteran free agent Kony Ealy hasn't shown much in camp, and no signs of life last night, I'm cutting him loose. Dallas has too many younger options with upside. Keeping Tapper and Gregory may be a bit much, but it really is indicative of the versatility and style of the defensive line. Guys like Crawford, Tapper, and even Lawrence or Taco could play inside on some passing downs. What you need are as many athletes who can get to the quarterback as possible. Antwaun Woods is the big mover, going from obscurity to being one of the most hyped defensive linemen in camp right now. He didn't have big game last night, but he's been pushing for a starting job based on his play in Oxnard. I don't have Maliek Collins listed because he's on PUP now, and I expect will remain there to start the season. David Irving is missing due to his four-game suspension to start 2018. Hopefully we will get to see more of Jihad Ward in the next few preseason games. He should be starting at least in September, and perhaps beyond depending on how he performs. Last night only confirmed what we already assumed about this group. Jaylon flashed in his limited playing time, Vander Esch had a strong night, and the veteran backups stood out. Joe Thomas got an interception off a tipped ball. Justin March-Lillard showed his versatility with a big QB hit off a blitz, plus a pass deflection. It was a great night to further establish the quality depth that these two veterans offer. Damien Wilson started the game, but Sean Lee was out. It will be interesting to see who starts between Wilson and Vander Esch when the captain is active. Our top four is locked in, so it all comes down to the bottom of the depth chart. Based on training camp over last night's game, Charvarious Ward has been the standout player and is my current pick for the roster. I dumped two corners to add a fourth safety, which I didn't have in the last projection. Duke Thomas did have a pick last night but it was more a bad throw and tipped ball that landed in his lap. But really, between Thomas, Ward, Kam Kelly, and Marquez White, I could be flip-flopping a lot on these last one or two corners between now and final cuts. In the end, the decision will probably come down to things I didn't get to see in training camp and practice. With a pass breakup and a nice special teams play in punt coverage last night, Huff drew eyes last night. I was already intrigued by the former fourth-round pick, and he didn't disappoint. Of course, Marqueston's spot could be going to Earl Thomas if that deal ever gets done. But for now, Huff is a potential backup with 41 career games under his belt. I still think Dallas could easily go with just three safeties and keep a sixth corner, and special teams will play heavily into that decision. If Huff keeps making plays like he did last night he will make a great case to stick on the roster. As always, we end things with this boringly consistent trio. For the positions they play, though, there is no greater compliment.